Take the whole family with you on a perfect trip throughout the countryside – as passengers in a Jeep, everyone can enjoy the adventure. Sit on the back with one of our licensed drivers and enjoy the best seat in the house! We can cater for small private group tours to big group adventures – with plenty of experience in corporate groups, team building or family groups, we guarantee a fun day out! Our experienced tour guides will explain everything you want to know about the local culture and beyond. With this in mind, HAMA has ventured into the back and beyond of our 4 favourite countries, Vietnam, Laos, Sri Lanka & Italy on a quest to find sights and people that others just pass by. We have day tours through the local hinterland and multiday tours extending deep into the heart of each country. 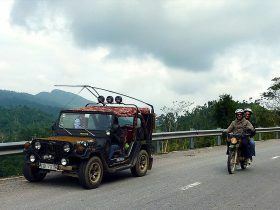 Our wide range of motorbike and Jeep tours are open to anyone from 3 to 93 and can suit any schedule or budget. Check our scheduled departures below for group rides or book any of those tours for a date of your liking. Vietnam’s greatest 3-day adventure! Every day showcases the diversity of cultures and scenery to be found in Vietnam. 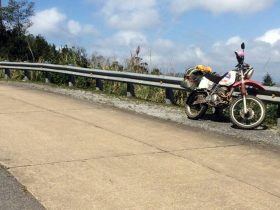 Held annually in Vietnam, Rally Indochina is the largest annual charity motorbike ride in South East Asia. 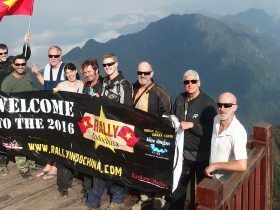 More than just a motorbike tour, Rally Indochina is a great ride for a great cause! 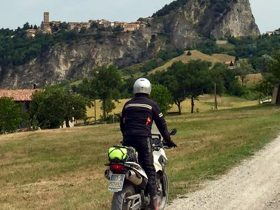 We offer a unique opportunity to explore this mythical territory in the saddle of a motorbike and venture out on roads less-travelled to discover true Tuscany – a one-of-a-kind experience that you’ll never forget. Our Mountains and Beaches tour showcases the best the island has on offer. 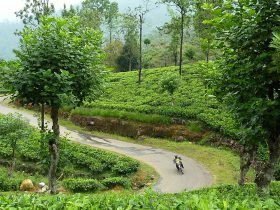 From glorious mountain and tea plantation riding to stunning beaches and scenery that is topped off with a jungle safari, this tour will leave you breathless and wanting more. Those looking for a memorable Asian holiday experience need look no further than Vietnam. A destination made famous by its tumultuous history, amazingly varied landscapes, incredible food and beautiful people. 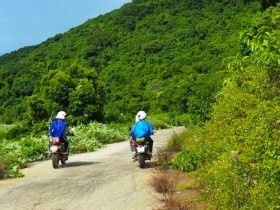 Hoi An Motorbike Adventures has been operating in Vietnam for over 9 years now and has explored the length and breadth of the country going places largely left untouched by tourism.Hoi An Motorbike Adventures is based in Hoi An, the ancient port of Central Vietnam. Famous for its laid back lifestyle, tailors and food culture, this lovely old town is ideally positioned as a gateway into Central Vietnam. 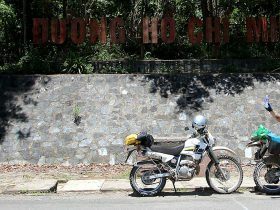 For those looking for a true Asia adventure, who want to see the real Vietnam, Hoi An Motorbike Adventures has the experience for you. A word of warning though, once you have tasted what rural Vietnam has to offer you will want to come back, again and again and again. Still surprisingly simple, Laos offers charms many other countries in the region left behind long ago. The lifestyle is laid back, friendly and simple and it’s easy to want to stay! Whether it is the stunning and unforgettable UNESCO world heritage listed Luang Prabang or the mysterious Plain of Jars to the pristine old growth rainforest or jagged limestone cliffs, Laos offers a kaleidoscope of experiences. Largely untouched by tourism, the Laos people are incredible hosts and when sipping on an ice cold beer enjoying the myriad of local food on offer, you will want to return again and again. We look forward to showing you our Laos. With eight UNESCO listed world heritage sites packed into this small island nation, Sri Lanka offers the traveler a combination of landscapes very few other places can. From pristine beaches to the famous tea plantations, to the forests and rugged mountains, the natural beauty of Sri Lanka is outstanding. As with Vietnam, our tours take roads less traveled and are specially designed to show you the very best Sri Lanka has to offer.The Pearl of the Indian Ocean, Sri Lanka lies just south of the Indian sub-continent. For years Sri Lanka was ravaged by a bloody civil war and this beautiful country has only recently returned to peace and started to fully open its arms to tourists again. We have discovered it and it’s an extraordinary place to visit. Fun and safety are one and the same thing to us and we will always do our utmost to keep you where you belong, on the bike and not under it. We take special care to only allow people to ride within their limits and will adjust the pace of a tour depending on both this and the conditions. Our bikes are all meticulously maintained and an experienced local mechanic goes out with every tour. Those who don’t wish to take the reins themselves can choose to ride pillion with our trusted and insured local riders or go as passengers in a Jeep. Just sit back, relax, enjoy and take a million photos. We pride ourselves on legally operating our tours, paying our staff above award wages and our tax obligations under Vietnamese law. 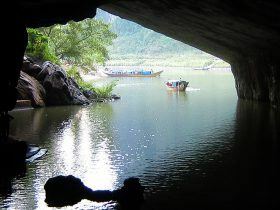 If you travel with us you are ensured that you are helping to contribute to Vietnam having a sustainable future. 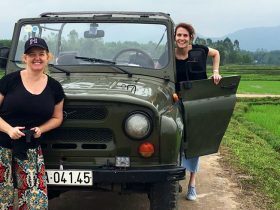 Everyone at Hoi An Motorbike Adventures pride themselves in not only giving people the time of their lives but also being a part of the local community and championing responsible travel. We all share a passion for following the unknown trail and a love of sharing new discoveries. The landscapes of each our destinations are unique and beautiful. We delight in taking you directly to that beauty and creating a memory that you will carry with you for the rest of your life. Our love of the local people and their tumultuous, often tragic but always triumphant history is what sets us apart from the rest of the pack. We learn the stories behind the story. We research thoroughly and then we relay the message to you with a smile and a deep sense of responsibility that comes from sharing the local peoples’ lives. 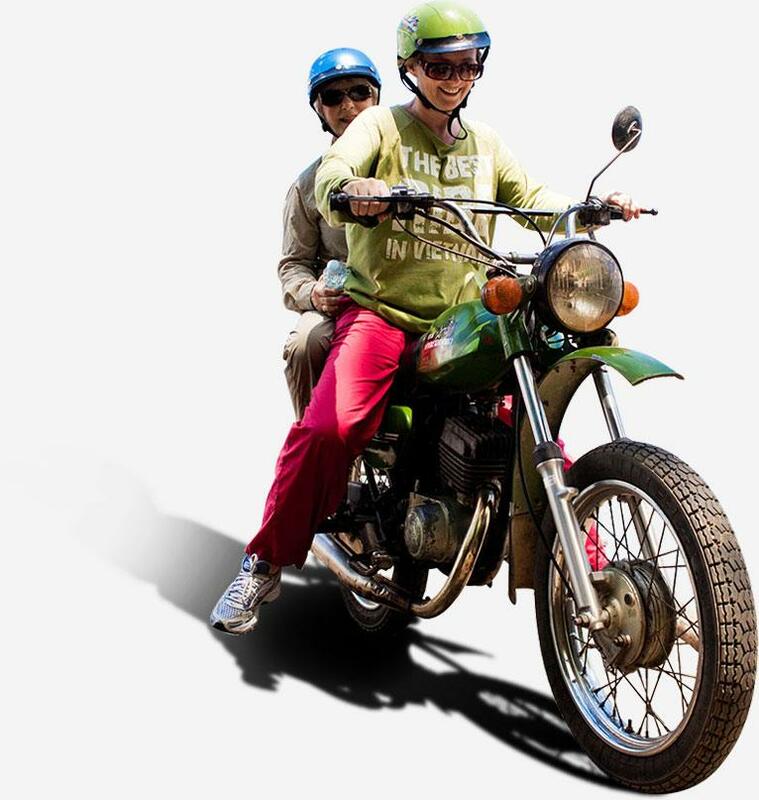 Lastly and perhaps most importantly, unlike other tour companies, the tour leaders at Hoi An Motorbike Adventures are always ready and willing to listen to you and to tailor your experience to your liking. As soon as the tour departs, you’re not a tourist anymore; you’re an integral part of the operation.